BELL COUNTY, TX — Many Bell County homeowners saw a rise in their property values. "This year we noticed that our taxes were going up almost another $26,000. Then the mortgage company raised our payment,” said Melissa Robinson, a Killeen homeowner. The year before she says her assessed property value increased $60,000. Robinson was able to settle the matter, but her mortgage lender increased their monthly payment. The lender also raised her mortgage payment when the value increased this year. Robinson lives in a housing development, where there are several similar homes. “I went online and found 16 properties, with the same house as mine, some with the three car, some without. And the one that was the lowest appraised for 2019 was $44,000 lower than mine. Out of the 16 properties, mine is the highest. In the same house, in the same neighborhood,” said Robinson. Robinson is in the process of protesting the increase. In her research, she found others were dealing with sharp increases. “Some people are higher than me. I know somebody that their house went up $80,000 this year,” said Robinson. The Bell County Tax Appraisal District says the real estate boom has driven up value. “People are wanting to move to Bell County because of the cost of living and the life that we have here,” said Billy White, chief appraiser. White says that homeowners are welcome to discuss the value with an appraiser, and bring documents to support their case. The deadline to protest your property appraisal for most properties is May 15. 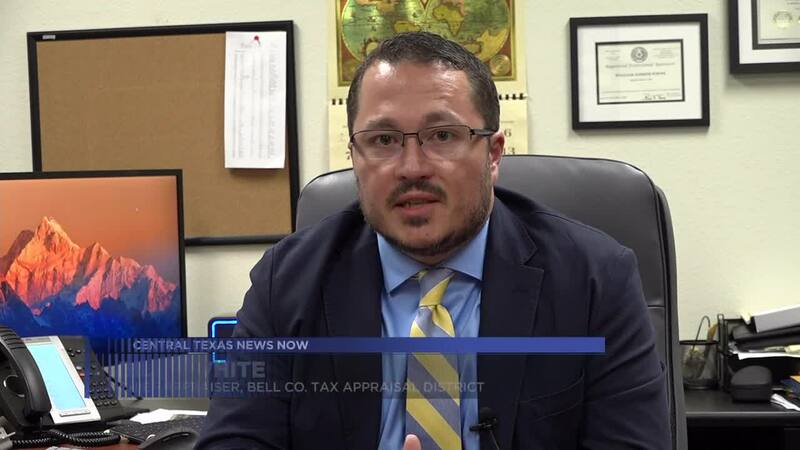 While the deadline for Coryell County is April 30 or 30 days after the date the appraisal district sends a notice of the value.